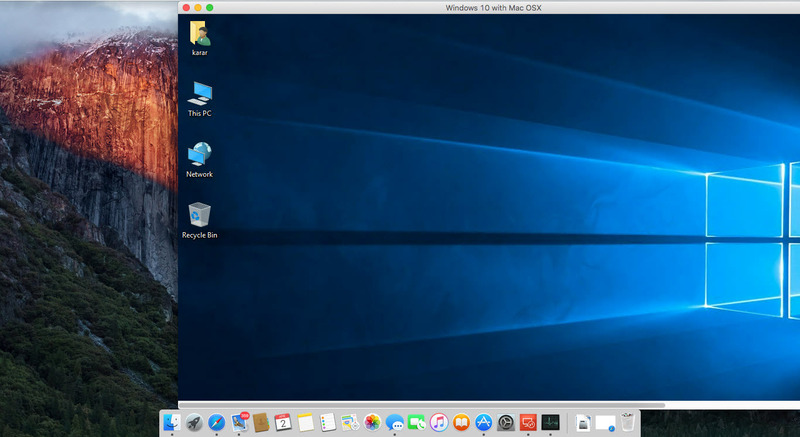 The new Windows 10 has been released and created to service well from the previous versions. Unlike windows 7 or 8 it’s going and has been more comfortable and updated overall from every edge, here in Windows 10 when you install it, you don’t find that the drivers? No worries because Windows 10 makes it easier to do it itself automatically, once you’ve arranged or installed Windows 10 updates & drivers you’ll have automatically the device drivers + updates anytime. 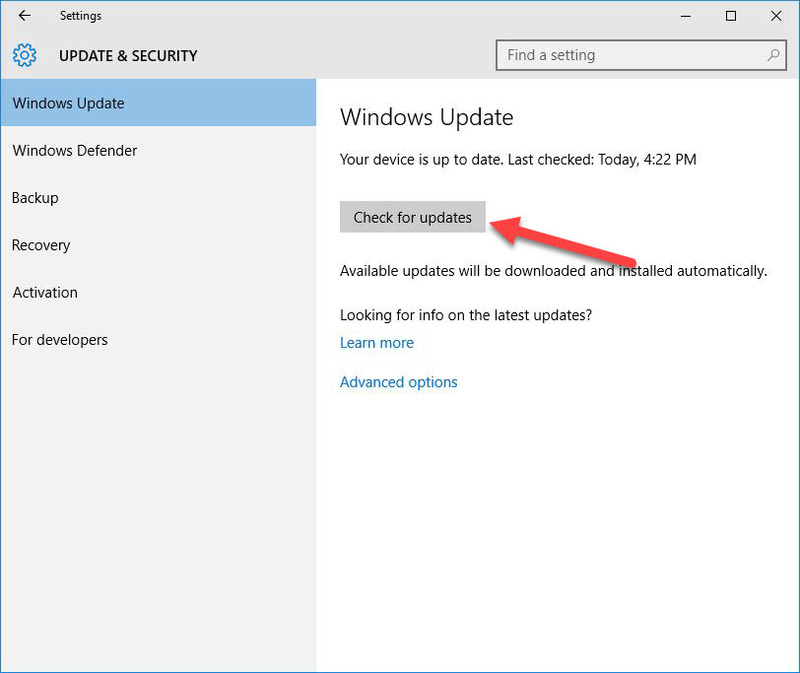 However, now it’s been updated and you can choose the updates installation and download yourself, you can choose updates installation from two options whether automatic or notify to schedule restart means if you select automatic or the first option, the PC will keep up everything smoothly, on the time when the PC isn’t working, it will install the updates & drivers, but how about the downloading of drivers and updates, are they Windows recommended drivers? Yes, but some of them and some of them aren’t downloaded. 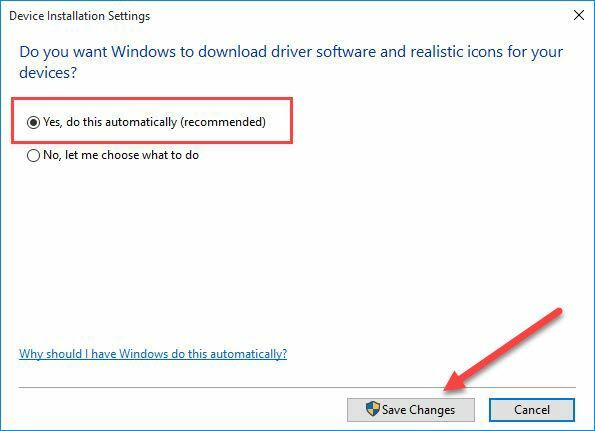 To have Windows automatically download recommended drivers and icons you’ve to do the following steps. Drivers. 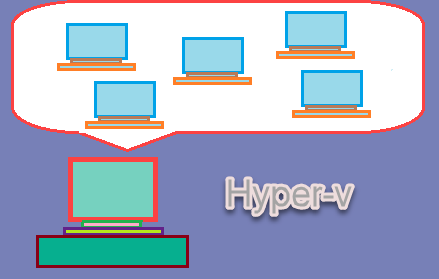 A driver is a software that allows your computer to communicate with hardware devices. Without drivers, the devices you connect to your computer—for example, a mouse or external hard drive—won’t work properly. 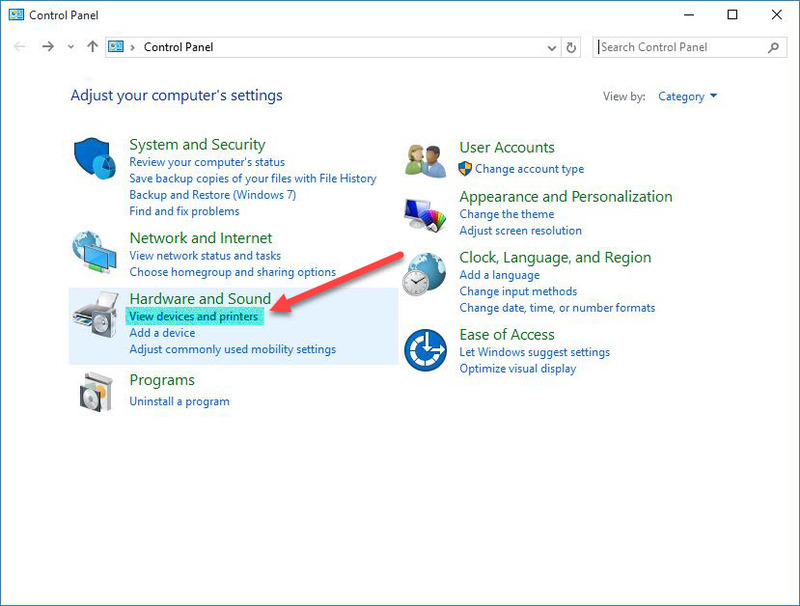 Windows can automatically check if there are drivers available for new devices that you connect to your computer. Actually, when you’ve recently installed windows 10 you might have noticed that the drivers are missing but you didn’t get them automatically because you haven’t installed the drivers and updates from Windows update and here’s we gonna install Windows 10 updates & drivers now. 1. Open Control Panel from Start Menu by typing it and hitting on it. When the control panel opened, navigate to Hardware & Sound then click on view devices and printers. 2. 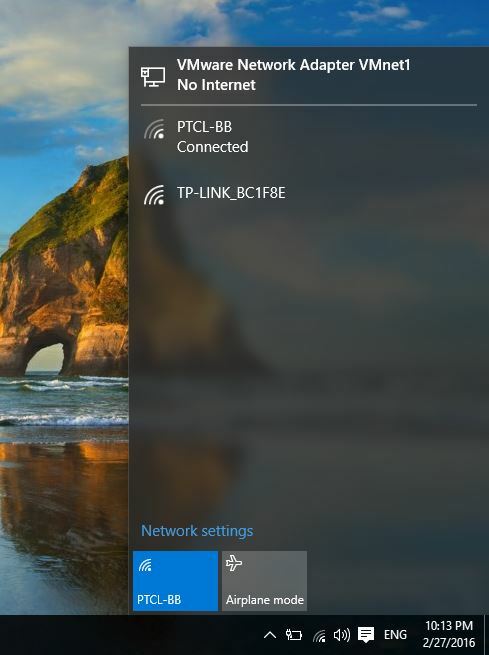 Now right click on your device (PC or laptop) and select Device installation settings. 3. 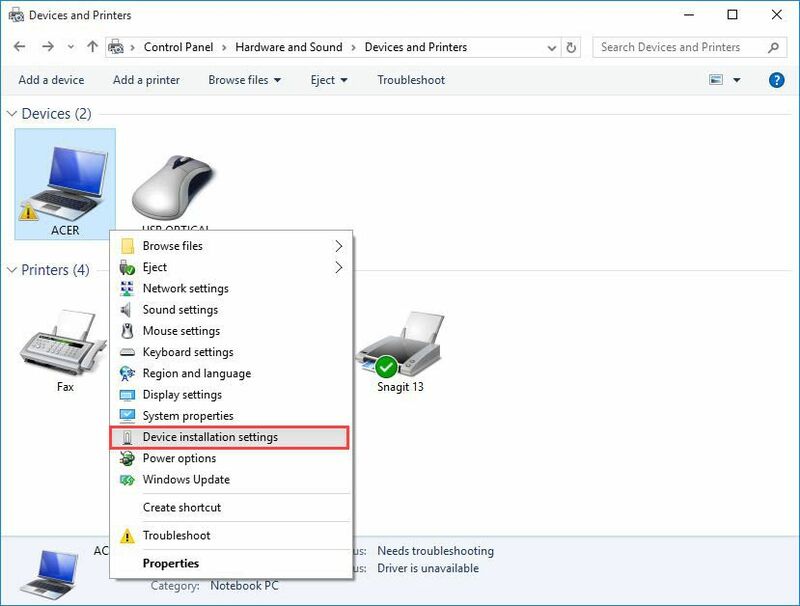 On the Device installation settings, you’ll be asked if you want to download driver software and realistic icons for your devices that are recommended by windows? select Yes, do this automatically and click Save. And you’re done! 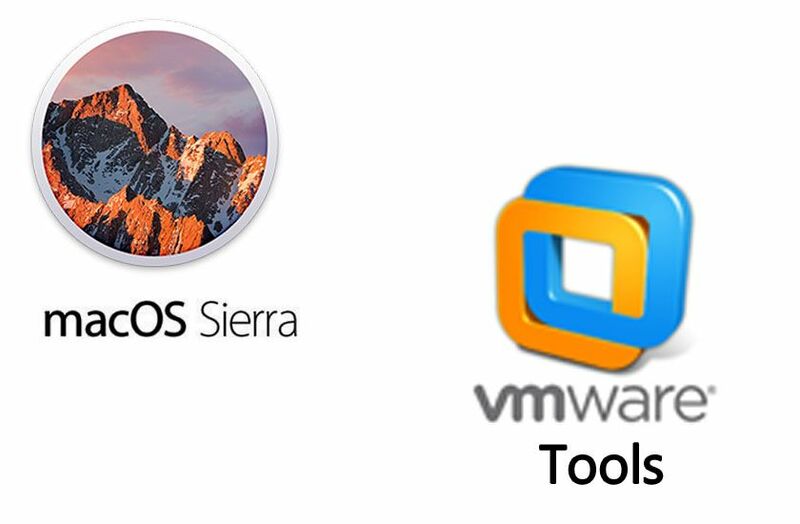 we’ve successfully enabled windows automatically downloading drivers and icons. Now let’s move and download and install the updates and drivers recommended from windows. To do this go to Settings>Update & Security and click on Check for updates, it will find updates and download them then install. Notice: Update your device once a week at least because it will solve much problems, refresh and update security and much more. It’s best to let Windows install drivers automatically. Occasionally, Windows might not be able to find a driver for your device. 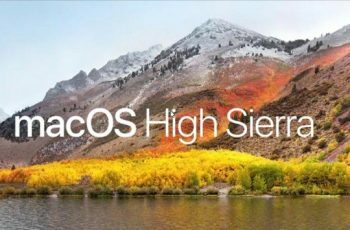 If this happens, you might want to check the manufacturer’s website for a driver or update for the device, or try installing any software that came with the device. And that’s it. Hope it would be informative and helpful if you have any question, suggestion regarding this ask below.